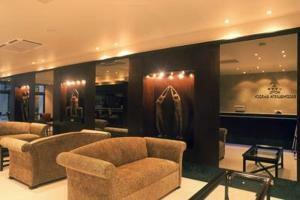 Hotel Reconquista Garden, Buenos Aires discount hotels and accommodation. HOTEL RECONQUISTA GARDEN, this new product, a 4 four stars Hotel , with an infrastructure, atmosphere and service that responds to the most demanding international standards. Among its main characteristics the hotel stands out among a acclimatized covered pool located in the first underground and a discovered pool prepared in deck in the superior part of the building. The building has a Gym and SPA service, we also have room events, with capacity up to 120 people. View photos, room descriptions and make online reservations at Hotel Reconquista Garden. Save on room prices at Hotel Reconquista Garden, Buenos Aires.